Heavy trash pick-up is the third full week of the month, on your regular day of the week. 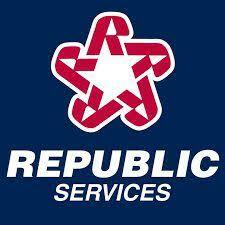 For more details regarding Republic’s policies and 2012 agreement with the City, please see the Department of Public Works page on the City’s website @cityoflawrence.org. Heavy trash will be collected April 15-19. Yard waste may be placed in your toter cart at any time during the year. You may place up to 10 (10) brown bags with yard waste next to your toter during the months of April, May, June, October, November and December. Overage tags are available in the DPW office (9001 E. 59th Street, Suite 205) for $2 each, if you have extra yard waste. A second toter is also an option. You may request a second toter from Republic. They will deliver it to you. The charge for the second toter is $1.25 per month.